The report “Joining Forces: Collaboration and Leadership for Sustainability” was launched in January 2015 . 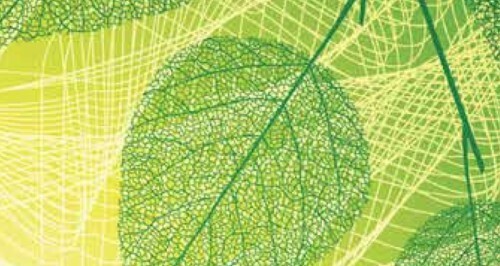 It is the sixth year that MIT Sloan Management Review and The Boston Consulting Group produce such a report on how businesses are dealing with sustainability issues. And this year also the United Nations Global Compact joined the partnership. Based on a survey of more than 2,500 executives and managers this study find that the practice of corporate sustainability is gradually shifting from isolated, opportunistic efforts to a more strategic approach based on partnerships with competitors, suppliers, governments, and NGOs. The report highlights the potential collaboration and partnerships have in producing transformational results in corporate sustainability. Still this is not the norm among businesses and collaboration is not very common. The survey finds that 90 % of the respondents recognized the importance of collaboration, however only 47 % reported that their companies were actually actively collaborating. Among those with experience with collaboration more then half reported that such collaborations resulted in fundamental change in the market in which the business operated. The characteristics of these collaborations were that they were not isolated projects but more projects that engaged a company´s entire system, from suppliers to costumers to governments to academic institutions. The study also focuses on the role of learning. The more collaboration the company is involved in the more likely is it that the collaborations are successful. Also the study looked at the role of board engagement as a driver of sustainability. 86 % of respondents find the board of directors has an important role to play in the company’s sustainability agenda. However, only 42 % find that their board is at least moderately engaged in this agenda. In cases where the board of directors are not engaged collaborations for sustainability is less likely to succeed pointing out the importunes of board participation. Overall, the study finds progress in companies making the fundamental shift in how they organize themselves and how their boards of directors address complex challenges and risks. At the same time the survey reviles that many business leaders does not understand that collaboration is a key to successful performance.